So, we were making good time on the construction of the pool until...the rain. Last week was a complete wash. The crew was not able to work a single day. Our yard looks so bad - we look like "that family" on the street. You know the type, I am sure you have them on your street, as well. I even sent a text to my dear neighbor promising her we were going to mow. Between the tall grass, temporary gate two pieces of plywood nailed together, mounds of random dirt, and various pieces of left over construction parts, we should definitely get the "Yard of the Month" award. NOT! We finally have some forward movement again. The last two days have consisted of coping and tile. I must say I have been impressed with this particular crew. They move fast! Let me just say, if you have a hard time picking out paint (from those tiny paint cards), DO NOT even try to pick out tile and coping for a pool. Let's just say the fetal position was involved and maybe even a tad bit of rocking myself in a corner. Ya'll this was stressful! We are stuck with this, it is not like painting a room. If you don't like the paint color you just paint over it. This is tile that needs to last the life time of the pool (ummm, forever). This is tile that I need to still like 10, 15, 20 years down the road. This is tile that in the event we ever put the house on the market other owners will like. THIS WAS THE BREAKING POINT FOR ME. Overall, I am very happy with our choices. I can't wait to see what it looks like when the white plaster is applied and it is filled with water. It has a combination feel of tortoise shell and travertine. At least with the rain, our weeds have turned green! Almost looks like grass!! Last week, I revealed our family's project; our Servant's Heart Project. We are teaming up with Help One Now and their amazing program called GS4O (Garage Sale for Orphans). Our family will be hosting a garage sale later this fall and 100% of the sales will go to GS4O. This is such a great opportunity for our family and kids. They have and will continue to be involved in all aspects of the sale. Here is a little bit about the selected project. Ferrier Village is an anti-trafficking initiative of Help One Now. The village is a refuge for children who have been rescued from traffickers, or hold a high risk for being trafficked. In this village, the children are cared for while restoring mental, physical, and spiritual health. In 2013, 32 children were rescued by HON with the help of Haitian authorities. Seven of those children were reunited with their families while 25 of the children now live safely in Ferrier Village. Phase 1 of the Ferrier Village has already been funded and completed. Five homes were built within the village. All five homes are now filled with children who were rescued and are now on their way to restoring their health. Phase 2 is now underway, this is the phase our sale will help fund. Every little bit helps, even a family garage sale. 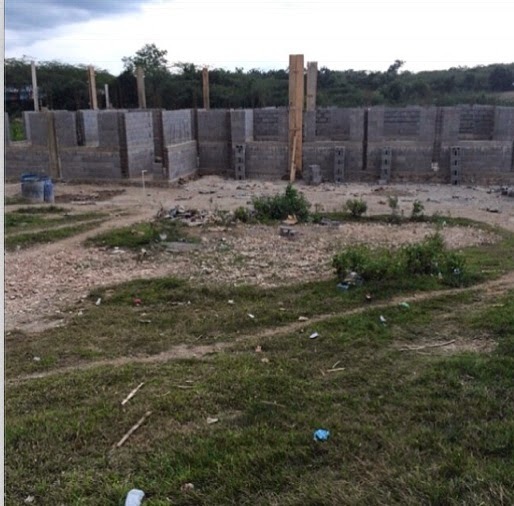 This phase will provide a fully functioning pre-school for the children of the village and the area. Here is a picture that was posted as of yesterday. The progress is already under way. Just think of the children who will be able to learn in a safe and loving environment, the way all children should learn. AMAZING! This is such a blessing for this area. I have been meaning to write this post for a couple of weeks. If you haven't already noticed, there are three new features to the Right Where We Are main page - the social media icons. As of now, you can connect to the RWWA Pinterest, Facebook, or Instagram pages by clicking on the corresponding icon. The icons are located on the right hand side of the screen directly under my picture. I am super excited to have these icons added to the site. I have a love/hate relationship with Pinterest. I LOVE just about everything I find but hate that I seem to forget about the rest of the world when I am busy Pinterest-ing (yes, I just made that word a verb). It is a huge time-sucker for me (time-sucker is also now in my personal dictionary). I have to make sure to use Pinterest responsibly or I can get myself in a lot of trouble. :) I am also a fan of Facebook and love that I finally have a page devoted to RWWA readers. Now for Instagram, I am still pretty primitive. The reason for this is because I think I own one of the oldest iPhones on the planet which can no longer except iOS upgrades, don't judge me. Some day I will be caught up! Susan at Hand Made Life is the very talented and sweet woman who is responsible for the recent upgrades on my blog. She is such a great person and was super fun to work with. Thank you, Susan!!! I love you all for reading my little blog. It is my beloved slice of "me time" each day. Thank you for being a part of it! Last year, I assigned our oldest son a project which we called a Servant's Heart Project. It was such a blessing for him and the children he helped. Wonderful life lessons and the joy of helping other's was at the helm of the project. This year, we decided to adopt a family approach to our Servant's Heart Project. This will be a hands on project for the kiddos, as we will involve them in all aspects. We chose a non-profit organization called, Help One Now. This amazing organization and group of people commit to rescuing abandon orphans, preventing slavery and rescuing those who have been enslaved, and providing care to vulnerable children so they won't become orphaned. Another main focus of Help One Now is helping families of severe poverty stay together as a family unit. Mission: Help One Now is a catalytic tribe committed to caring for orphans and vulnerable children by empowering and resourcing high-capacity local leaders in order to transform communities and break the cycle of extreme poverty. About the Tribe: As a collective group of churches, businesses, communities and individuals from around the world. The people of Help One Now are dedicated to using their gifts, talents and resources to help end extreme poverty, care for orphans, rescue slaves and see communities transformed by serving international partners through Help One Now. We sponsor kids, host garage sales, donate funds, take trips, advocate, and much more. 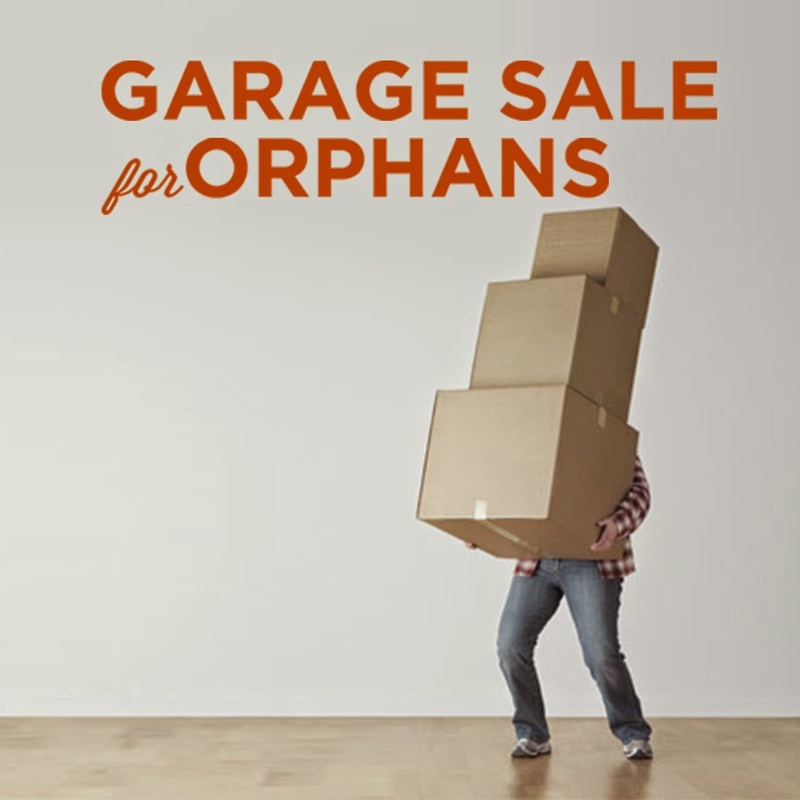 Our family is going to host a GS4O event (Garage Sale for Orphans). We are still deciding on an exact date but we are shooting for the beginning of November. The kiddos will help organize, price, and set up for the garage sale. The total amount sold at our garage sale will be donated to Help One Now. WE NEED YOUR STUFF!!! Your excess and throw-aways are exactly what we need for our sale. If you live in our area and have STUFF please contact me. Our family will schedule a time to swing by and pick it up from you. Also, with the help of Help One Now our family will be creating a GS4O t-shirt. Yet, another great educational experience for the kids. If you are interested in purchasing a shirt I will have more information in the near future. We will donate any extra money (over the cost to make the shirt) along with the garage sale totals. 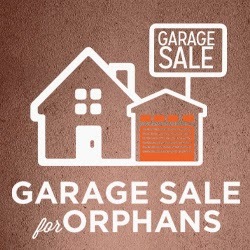 I encourage you to following the link, Garage Sale for Orphans, and watch the video. Also, look around on the Help One Now site. It has so much wonderful information. Most importantly, contact me so we can GET YOUR STUFF!!! Well, I am glad this step is over! It was loud, I mean three solid hours of loud, rattling, nerve wracking sounds. The dogs were beyond nervous, protective, vocal, overall wrecks. The kids were crazy, excited and hyped up on sugar because I made the not so smart move of serving donuts this morning. I kept myself busy by pacing and trying not to allow my type A personality to come unglued. The pictures really don't do any of it justice since I can't access that part of the backyard. We had the crew put up a temporary fence to keep the dogs and kiddos out of the construction area. After two layers of construction mesh and lots of plywood, I am beginning to feel like we have the Great Wall of China in our backyard. I have taken most of the pictures from inside the house. I am not about to let my kids outside with heavy equipment and big trucks. They would either get in the way or try to operate one (most likely the later). This is what we called the gunite truck. The sand stuff on the top will be mixed with water and then get sprayed through a large hose onto the re-bar. I am sure there are a ton of technical terms but you get the jist. Thankfully, they did not show up until almost lunch time. We were able to get most of our school work done prior to their arrival. This is where my L-7, rule following, can't deviate from the plan personality really had a melt down. I am sure a lot of homeschooling moms have found a way to relax the schedule but I just haven't had that break through yet. It is a school day, therefore, we do our school work (such a party pooper). At this point, I was praying none of my neighbors would need to access their driveways or homes and there wouldn't be any need for an ambulance or firetruck, for that matter. The entire cul-de-sac was filled with trucks! I ran upstairs for just a minute and when I came down, the kitchen windows were covered with plywood. The house seemed so dark. Did we have to board up the windows for a hurricane and some how I missed it? Only people who live near the coast would immediately associate a dark window with hurricane boards, bottled water, and cans of SPAM. If that sentence doesn't make any sense to you, please just carry on with the rest of the post. Remember, my stressed out psyche has been through a lot today. At this point, my husband had come home from work for a quick look-see. Thankfully, he remembered my coke. I had called him and said, "For my mental sanity and the safety of our children, when you come by please, please, please bring me a coke." One sip and life had new meaning. These poor guys work in crazy heat and complete filth all day. I just felt so bad for them. They ate lunch in the tiniest piece of shade. It took everything I had not to invite them in and serve them fresh warm cookies and milk. If you are judging me at the moment and please refer to my psychological state in previous paragraphs. I think anyone who is trying to deal with the construction of a pool, two crazy dogs, and home school three children (for the last three weeks) deserves to sound a bit off (if you know what I mean). So, here we are. This is what it looked like at exactly 2:34 this afternoon. From certain angles it looks really small which makes me panic and run back in the house only to burry my head in a pillow much like an ostrich. The other angle I cannot get to because of the Great Wall of China. I guess I could climb over the fence but I just know I would be the homeowner who would mess something up. "Ummm, yes, I hate to call you, but I completely left footprints in the wet concrete, gunite, cement stuff. I know you put up a fence but I just had to get a picture for my blog. " Something tells me that conversation would not go over well. Earlier post from the pool are Putting in a Pool - Part Uno and Putting in a Pool - Act II. But, things are looking up! I was just told today the gunite or concrete or cement (I am still not sure which one to use and at what time) will be sprayed within the next two days. AND...as of now, we don't have any scheduled rain within those days. Last time, I posted (Putting in a Pool: Part Uno) the hole had been dug and we were beyond excited. The second my husband got home that night, he jumped in with the old tape measure. I think he measured every inch of that hole! Thankfully, all was good. I am not really sure what you do with a mistake of that size. The kids could hardly stand the fact that he was in the hole and they weren't. Believe it or not, all three kiddos managed to stand still (not pushing or shoving) on one kitchen chair. They are so still you can't even see the third and shortest child in the picture. Amazing - they can do it when they really want to! Being in the hole was a completely different feeling compared to looking into the hole. It felt so much bigger when standing in it. It is an odd feeling to be below the ground in your own yard. The last week and a half has consisted of rain and re-bar; a lot of both. This phase is finished. As you can see, the light (large round circle) has been installed along with some plumbing. So, fingers crossed we will have gunite, concrete, or cement in the next couple of days! Happy Friday!!! Just a quick little post for today. Three of my favorite kitchen items are three different sized colanders. I love that they are functional, cute, and give such a vintage feel to the kitchen. My absolute favorite is the old, dented, metal one shown in the picture below. The drain holes are shaped like stars and it no longer sits level. I love it because it belong to my grandmother. I am not sure the exact age but I feel like I was told it was a wedding present. If that is the case, my grandparents were married in 1953. That colander has seen a lot or should I say, it has drained a lot! The other two colanders I have purchased in the last year. They don't hold any sentimental value but are super cute. Wait, I am a mom of three children and four pets, that is not at all what my reading time looks like! This is how it normally goes. I put a good movie on for the kids (so they will be contained to one area). I give them snacks and drinks, helping to eliminate the possibility that I will need to get up. I curl up on the couch and pretend I am invisible. Most importantly, if I don't make eye contact or make sudden movements, the kids forget I am even there. Bingo - I have earned myself a whopping 30 minutes of quality reading time. Of course this is when the phone rings, someone comes to the door, or the dogs need to be let out, let in, and let out again. So, these are the books I have enjoyed recently. I prefer books that are on the shorter end with brief chapters. Why? Please refer to the previous paragraph for that answer. Here is my short by wonderful list. I am sure many of you have heard of this daily devotional or may read it yourself. 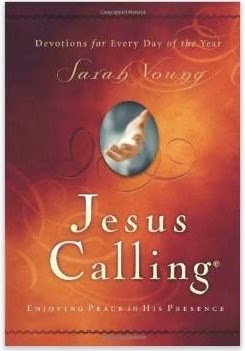 It is one of the best devotional books I have ever picked up. It includes 365 devotionals, one for each day of the year plus Bible verses. The part that I love the most is the author's take on God's point of view. Each devotion is written as if God is speaking directly to the reader. My husband bought it for me a couple of years ago. I have made it through the book more than once but can't seem to put it on the shelf. This book had me laughing and crying. It spoke to my heart and felt as if it was written just for me. I love the truth of motherhood portrayed in this book. 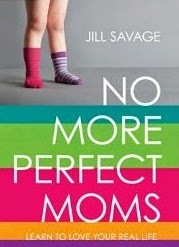 If you find yourself being a little too hard on yourself and your role as a mother, you must read this book. It will remind you that you are doing a fantastic job! Okay, hold on. This book is not for the light hearted. As I have mentioned in previous posts, I have the urge to do "more". This book has only solidified that feeling. It will shake you to your core and bring new light and education in regards to helping others. 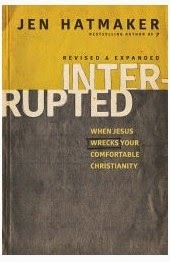 If you are comfortable with your current life I do not recommend this book. However, if you are looking to make a change in your Christian walk then please run out to the closest book store or grab your laptop, phone, or tablet and order this book. So there, I gave you a great daily devotional, a funny and very honest view of being a mom, and a rock your world interruption. Let me know if you have also read these books. And more importantly, I want hear about your favorite reads!